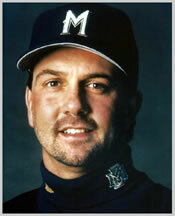 Paul Wagner was a Major League pitcher for the Pittsburgh Pirates, Milwaukee Brewers, and Cleveland Indians. Paul has helped countless pitchers improve their skills, avoid injuries and prolong their careers. Paul works with athletes who are serious about making every pitch count. Through his individualized lessons, he will take you from good to great. Paul strives to help every pitcher reach his full potential and give him the greatest opportunity to utilize his talent to receive college scholarships and professional contracts while living his dream of playing baseball. Paul's goal is Increasing Pitching velocity, staying injury free, and doing this in the shortest amount of time. Paul Wagner, a Germantown native, spent nine years pitching in the big leagues -- including parts of two seasons with the Milwaukee Brewers. Now, he's helping other pitchers, like Matt Goetz. Website design and hosting solutions by JLWebvisions, LLC - Sports Websites | Copyright 2017 Paul Wagner Power Pitching. All Rights Reserved.